Support and promote your cholesterol and cardiovascular health - naturally. Bergamot (citrus bergamia) is a rare citrus fruit indigenous to the Calabrian region of Southern Italy that has been used for decades to support and promote overall health. Bergamot earns the title “superfruit” because of the unusual composition of the various antioxidant polyphenols it contains, as well as for the particularly high levels of these polyphenols—antioxidants essential to maintain a healthy mind and body—that it contains, the like of which is not found in any other citrus derivatives. What Can Bergamot do for Me? BergaMet’s bergamot extract has been clinically shown to have beneficial uses that support and promote cholesterol, cardiovascular, and metabolic health. It’s a naturally sourced organic supplement with no side effects shown over 17 clinical trials, and our 47 percent bergamot polyphenolic fraction (BPF) extract is the highest quality and concentration available anywhere in the world. Why is there only one Bergamot product that is endorsed by all the researchers and doctors? Simply put, BergaMet products are the only ones that faithfully follow the required dose and highest concentration of Bergamot extract used and recommended in all recent clinical studies. BergaMet products are the only ones approved by the Accademia del Bergamotto, the historical body of all the growers. All BergaMet products have a BPF concentration of 43% to 47%. Our products contain the patented Italian citrus Bergamot extract (BPF). BergaMet products contain the recommended daily dose. Naturally sourced ingredients of the highest quality. Clinical studies and research are ongoing. Formulated to a quality and not to a price. Used and recommended by thousands of satisfied customers world wide. Testimonials from real customers with real results. BergaMet N.A. have the exclusive rights to sell products with the highest BPF. 1. Numerous clinical trials illustrate the positive benefits of BergaMet. Learn more about studies on Bergamet here. 2. Helps promote healthy cholesterol levels. 3. Helps maintain healthy CoQ-10 levels. 5. Promotes healthy weight management, especially dangerous belly fat. 6. Preserves arterial health and elasticity. 9. Helps improve liver function. 10. Multidimensional support for cardiovascular health. 11. Is completely safe and has no side effects. The baseline formula for all BergaMet supplements - naturally sourced and formulated to support cholesterol and cardiometabolic health. BergaMet MEGA+O is the baseline formula for all BergaMet citrus superfruit supplements, which are the most concentrated available to the public. 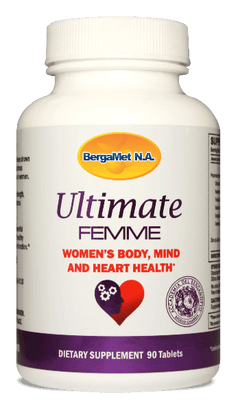 BergaMet Mega+O, which is naturally sourced and formulated to support cholesterol and cardiometabolic health, contains five unique antioxidant flavonoids that may help support healthy cholesterol, blood glucose levels, and liver function. “It is my opinion that BergaMet is the most important natural substance for management of cardiovascular disease that has been available over the past thirty to fifty years. Read Dr. Ehrlich's, one of the nation’s experts in cardiovascular diseases, reasons to take BergaMet. Read clinical studies on how bergamot can address metabolic syndrome and cardiovascular health. Our Medical Professionals answer the most commonly asked questions on bergamot and BergaMet. Feel better and see results by making BergaMet a part of your daily routine.